The Petites Bronze Cremation Urn comes with a rose top. Bronze is one of the strongest materials known to mankind. 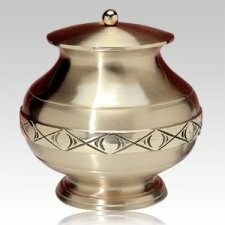 This bronze cremation urn will be a wonderful tribute to your loved one.